From the psycho-drama Mr. Robot to portraying the outright dangers of ransomware taking down a hospital in Grey's Anatomy, hacking themes now run deep in today's TV shows. There’s still nothing that quite tops USA Network’s Mr. Robot for its sheer ability to drill down into the details of how hackers think and operate. The series' protagonist and anti-hero, Eliot Alderson, played by Rami Malek, is a self-described hacker and computer tech complete with a drug problem and social anxiety and chronic depression disorders. While Malek’s character is clearly a bit of a stereotype, some viewers are forgiving. "By far, Mr. 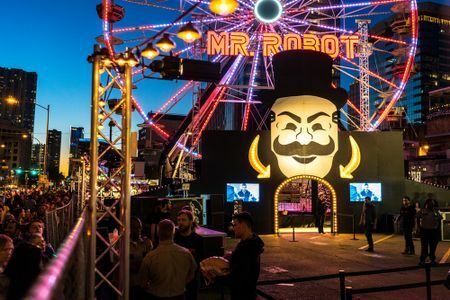 Robot is the most accurate in the way it portrays the methods of hackers," says Jason Haddix, vice president of trust and security at Bugcrowd. "In most shows, the longest time to exploit you'll see is about 30 seconds. It's never that simple. Our work can take hours and days to do enough reconnaissance to find a flaw." Stu Sjouwerman, founder and CEO of KnowBe4, says shows such as NCIS and its spin-offs NCIS Los Angeles and NCIS New Orleans tend to be "quick and dirty" and don’t really give viewers a sense of how hacking is quite tedious. "Hacking is a methodical and tedious exercise, but once you get there it's like, 'whoa,'" Sjouwerman says. The sense of excitement and danger that surrounds hacking makes for good television. Hackers took over Grey Sloan Memorial Hospital earlier this year during multiple episodes of ABC’s Grey’s Anatomy and despite all the subplots that included domestic abuse themes and a transgender hacker who saves the day, the episode gave a reasonable depiction of how disruptive and dangerous it would be for a hospital to be held up for a $20 million ransom. Other TV shows this year, from Bull on CBS to Showtime’s Homeland offered up hacker plots and subplots. And HBO plans to launch Hackerville this fall, a new series based in Europe. In putting together this slideshow, we drew from today’s popular shows to many of the popular techie shows of the past, like Person of Interest, CSI Cyber and Numb3rs. If you haven’t seen some of these shows, click on the links to trailers and episode clips to catch up and do some binge watching of your own.